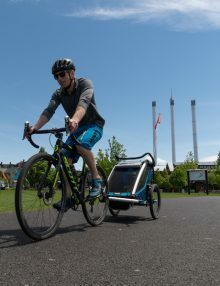 Since 2013, we have been an important part of cyclists’ adventures all over the world. 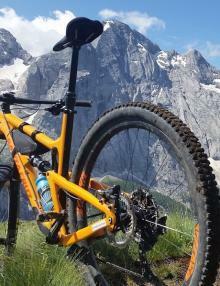 Our axles have millions of miles on them in mountain bikes and road bikes, carbon bikes, fat bikes and e-bikes. 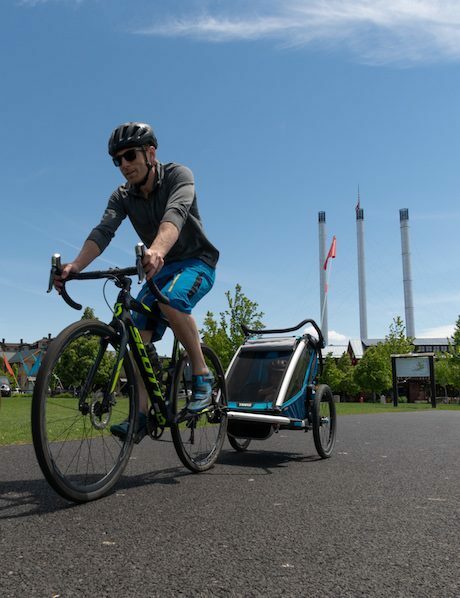 Our axles are specifically designed to handle the high-torque loads generated by e-bikes. 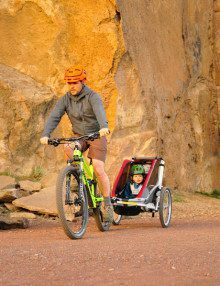 Your stock thru-axle is not strong enough to haul your precious cargo! 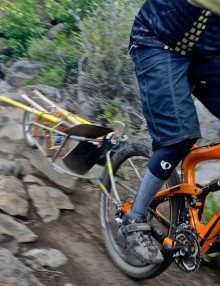 Our axles are 3 to 4 times stronger than the stock axle that came with your bike. Our stainless steel axle ends provide a safe and secure attachment point of the hitch to the axle. 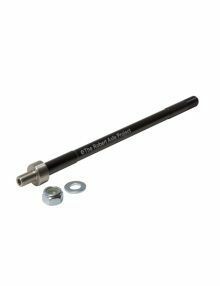 The axle is quick to install and remove with a common 5mm hex key. Our axles are not just designed in the USA, but are made here as well. 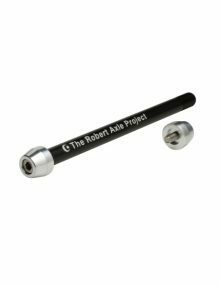 They are machined by avid cyclists to the tightest standards in the industry. We safety test, to failure, every batch of axles we produce to ensure they exceed your expectations. 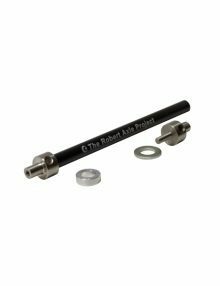 Robert Axle for Kid Trailers replaces your stock thru-axle so you can attach a child or cargo trailer to your 12 mm thru axle equipped bike. 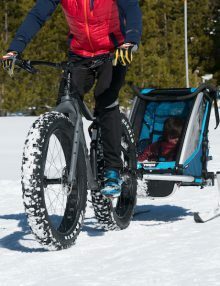 This axle is compatible with Burley, Carry Freedom, Chariot/Thule, Croozer, Instep, and many more hitch style trailers. 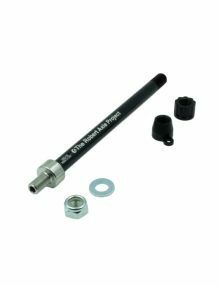 The true length of the axle shaft is 167 mm. 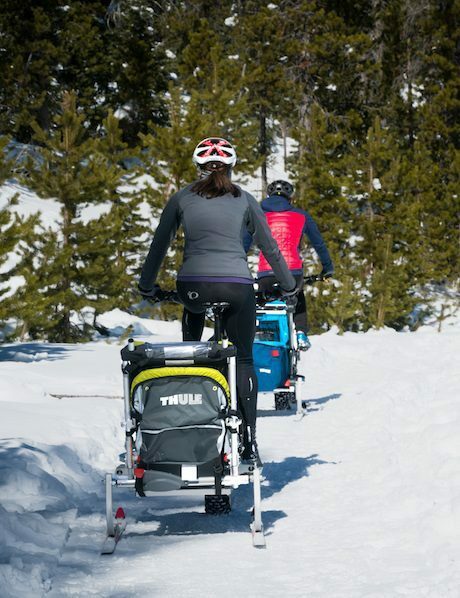 Please note: Thru-axle lengths do not equal hub standards. An axle has to be longer than the hub to fit in the frame. 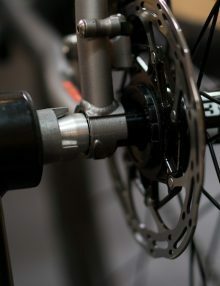 A 12×142 hub does not equal a 142mm long axle. The axle end is stainless steel, which allow for mounting of the hitch provided with your trailer. The threads are M10x1 (metric). Hardware for attachment of the hitch is included; the hitch is not. No special tools required. 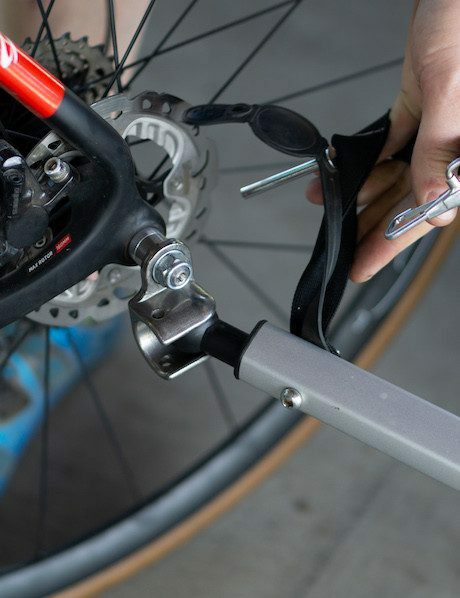 Design allows for installation or wheel removal using your standard 5mm hex wrench. I looked forever for the right sized adaptor, with all of the required specifications. This works perfectly. Thanks so much. The print-out sheet is the perfect way to figure out what axle you need, I got the right axle the first time. It looks and fits great. 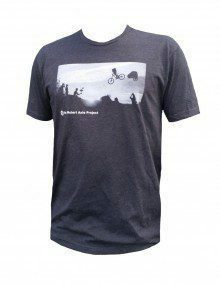 Be the cool kid on the block with our limited edition “Sending It” t-shirt. Impress your friends, your kids and your wife! Crew neck Next Level Apparel Tee. Yes! A 12 mm thru-axle adapter for BOB Trailers. 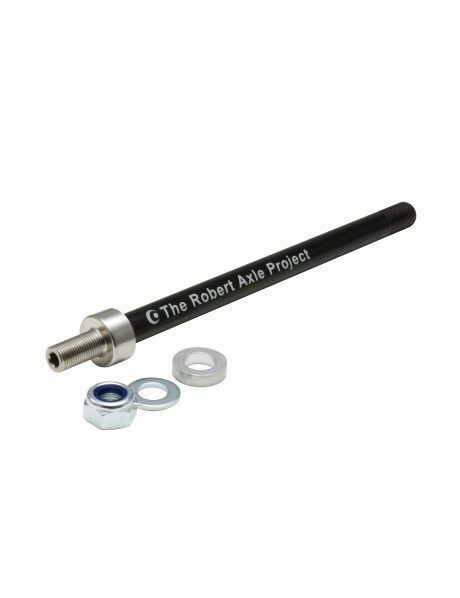 These Robert Axles for BOB Trailers are specifically engineered to attach the proven BOB Trailer to your thru-axle equipped bike. 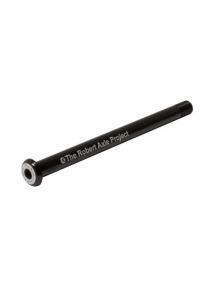 This axle is for use with Surly MDS or Gnot Boost axle system with 12×177 hub standard bikes. 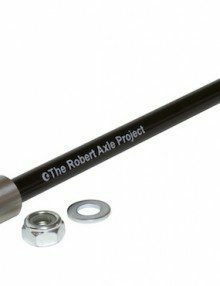 This axle is specific for bikes with the FOCUS R.A.T. thru axle system and 12×148 Boost hub spacing and comes with a replacement R.A.T. nut found on the derailleur side of your bike. Our nut is threaded (M12x1.5) to accept our solid high-strength Kid Trailer axle.